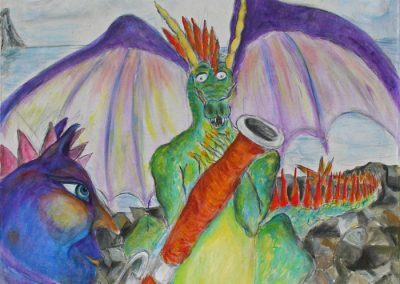 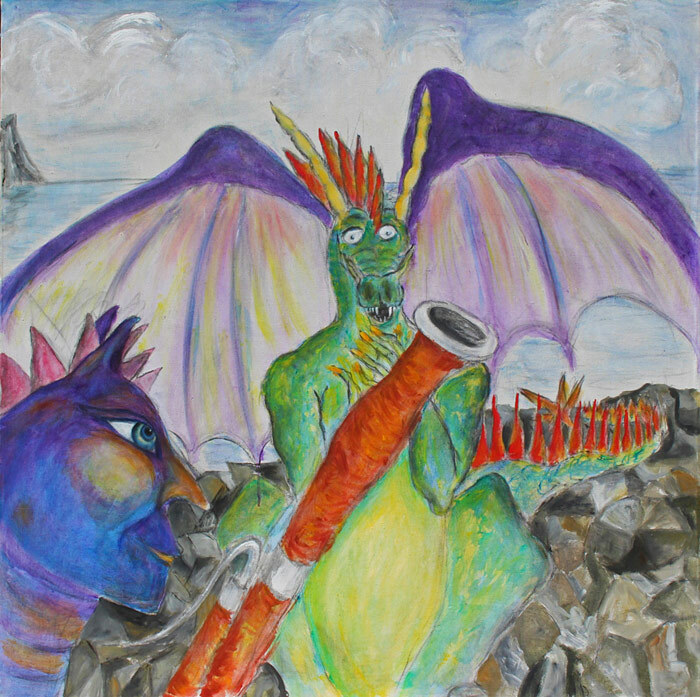 A story of struggle, transformation and triumph as Darwood, a gifted young fighting dragon fights to convince his family and community that playing the bassoon is his heart’s desire and life purpose. 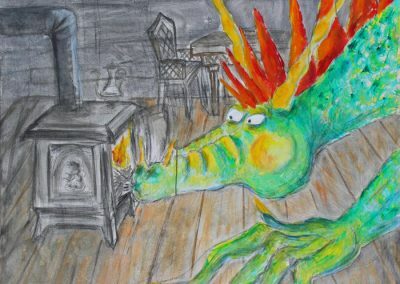 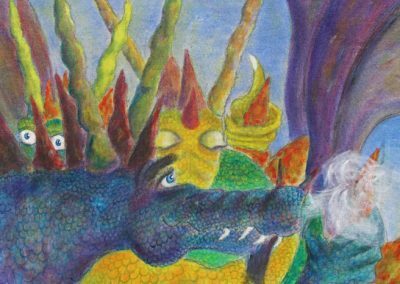 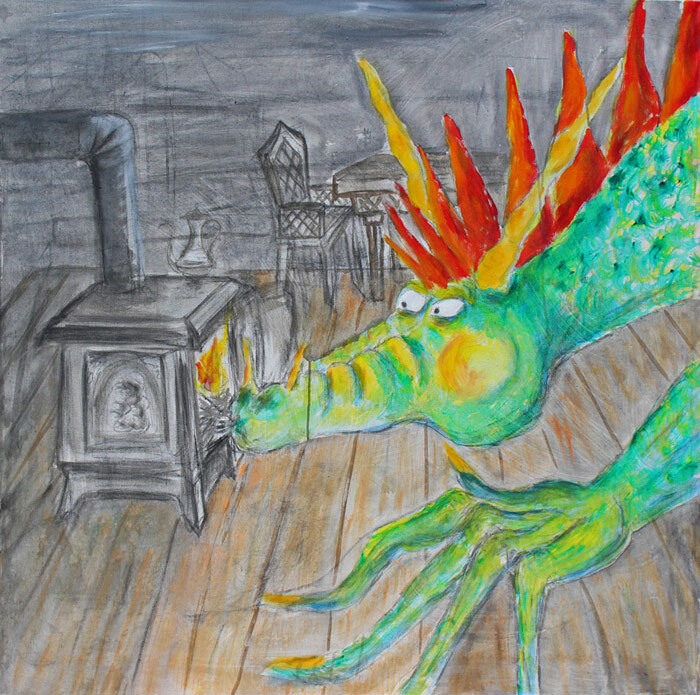 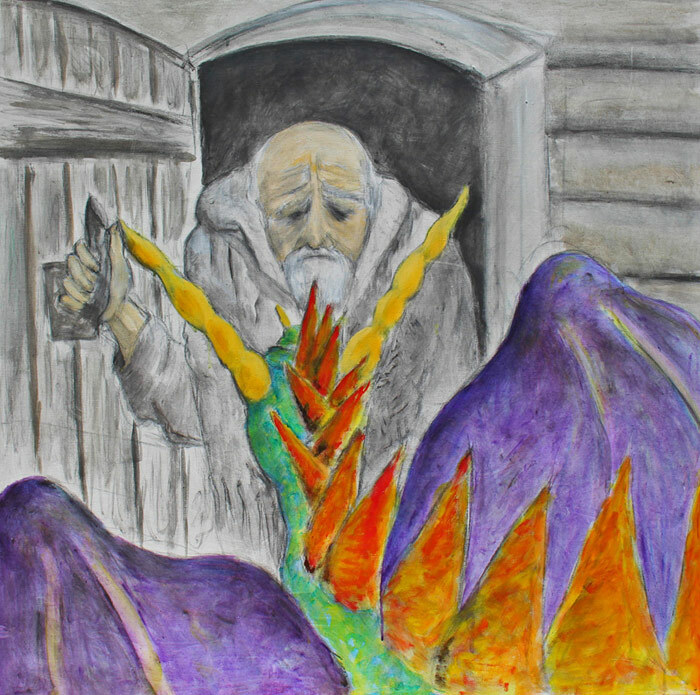 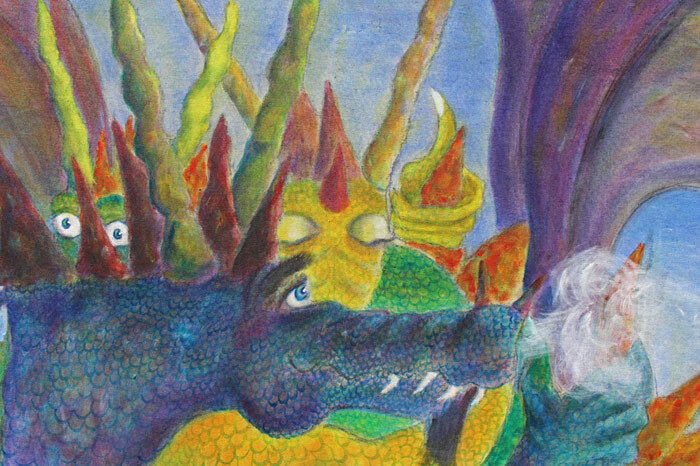 Follow the story as he follows the advice of the village mystic (a purple water dragon named Jalweeza), skips his burning and pillaging final exam, and flies back in time to find the elements that lead to a surprise ending that turns out to be just the beginning! 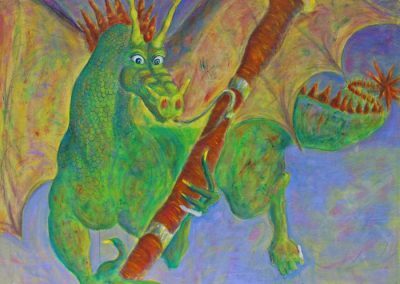 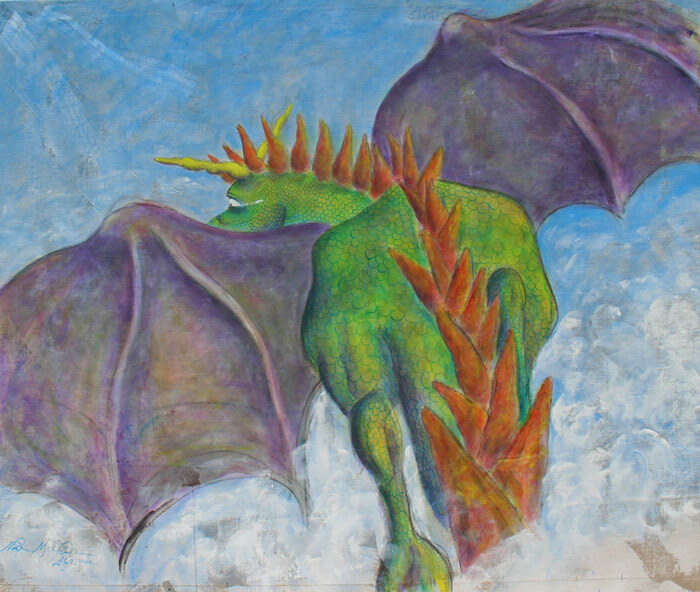 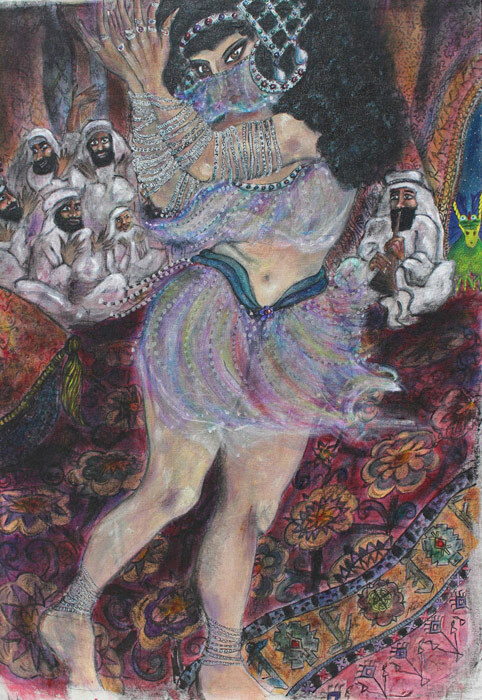 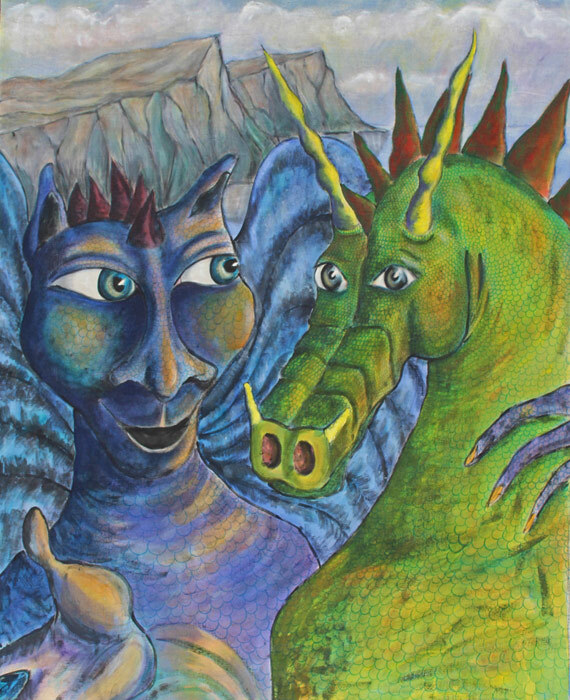 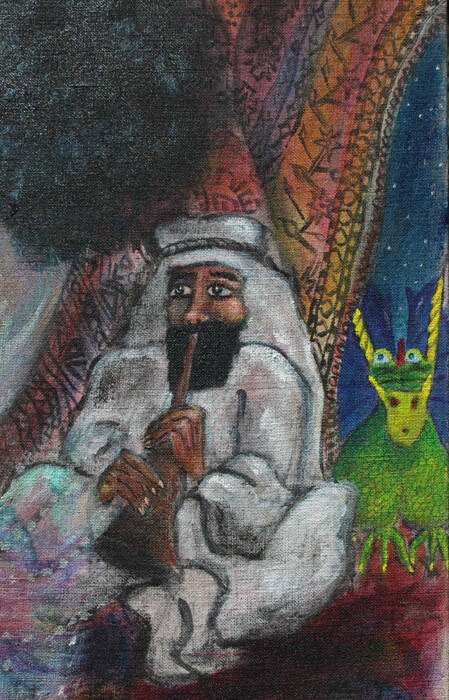 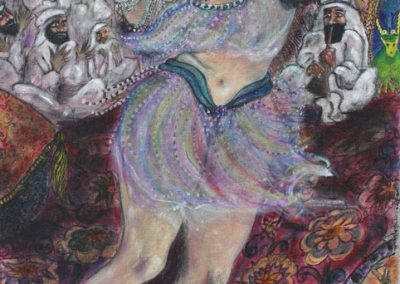 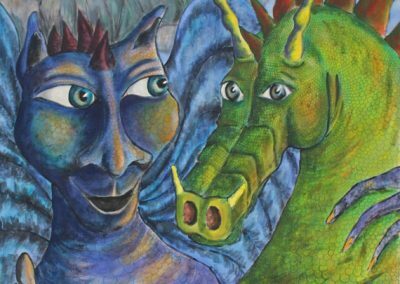 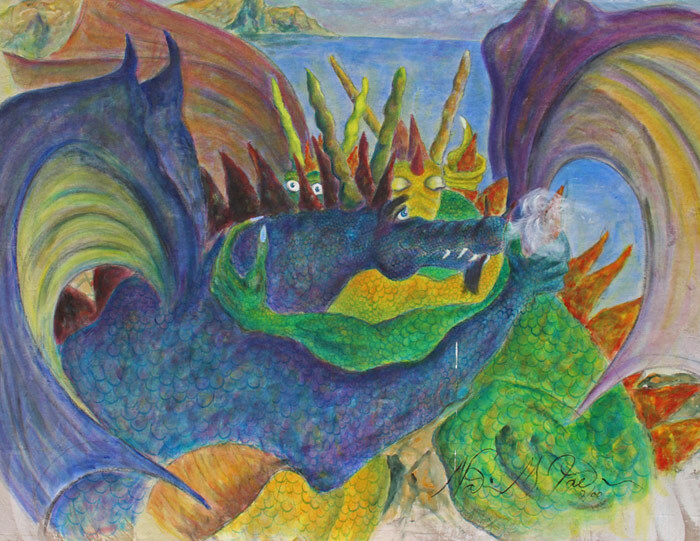 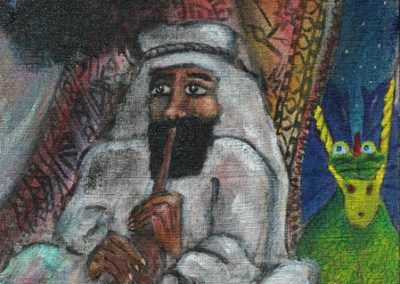 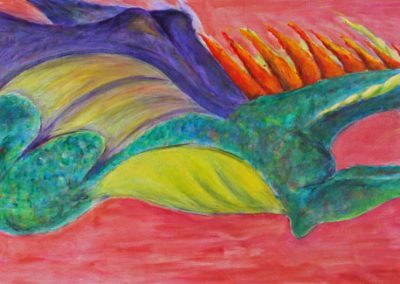 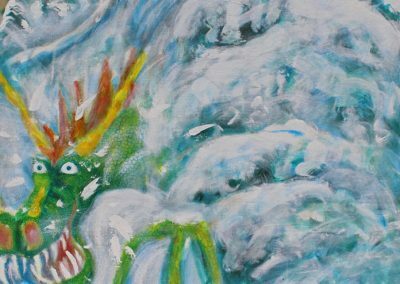 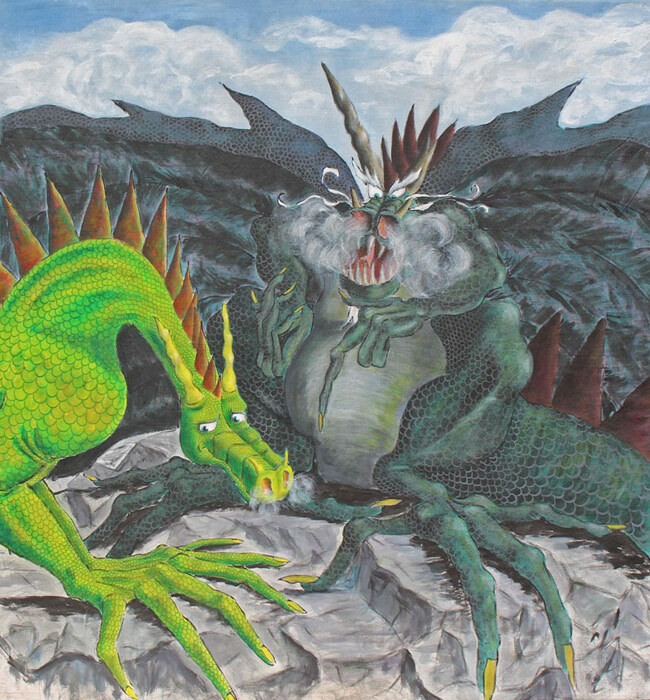 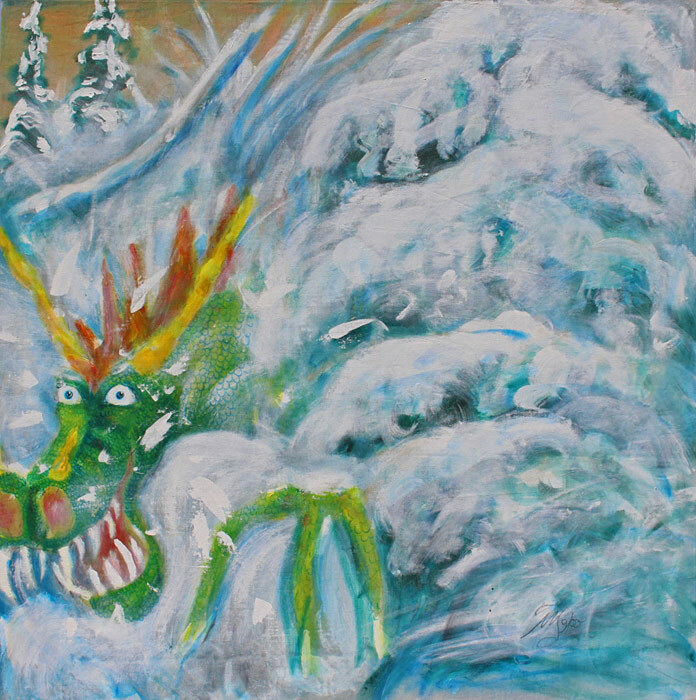 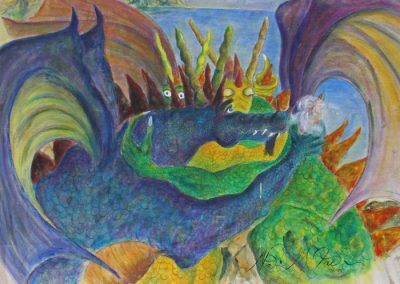 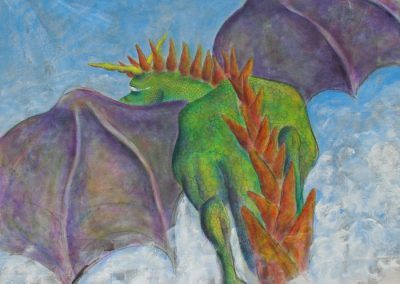 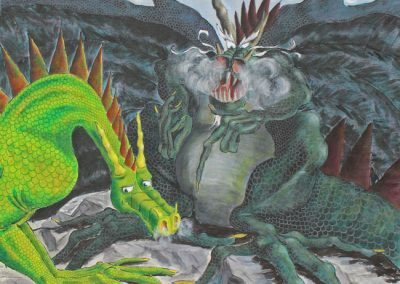 Accompanied by the greatest orchestral music and solo bassoon, the story is illustrated by my paintings which are close to life-sized, ranging from 4’ x 4’ to 5’ x 8’. 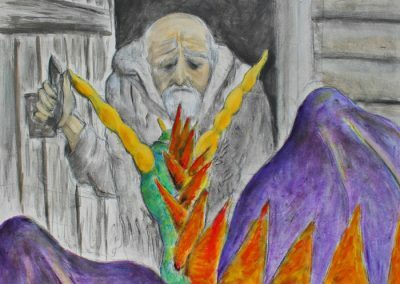 These are the 11 painting in process at the moment. 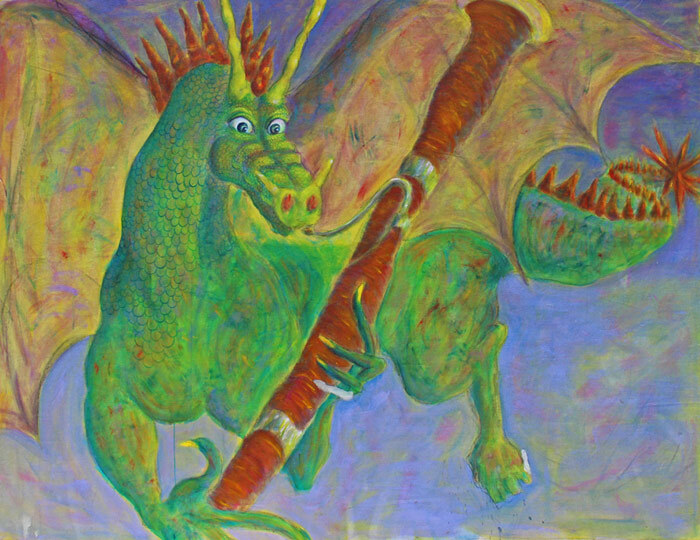 My goal is to finish all 25 and tour Darwood’s Wild Bassoon to orchestras across North America.